DECONSTRUCTION – the careful disassembly of buildings to recover valuable materials – is at the “take-off” stage of development. For our staff at the Institute for Local Self-Reliance and many others, the definition of deconstruction also includes job creation in low income neighborhoods. Start-up companies and demonstration projects that involve traditional demolition companies in joint venture contracts are proving the viability of deconstruction. Of course, barriers remain. Demolition industry trade associations have some reservations, and the Department of Housing and Urban Development (HUD), which spends just under $1 billion/year on demolition of public housing units, has been slow to adjust to deconstruction. And while deconstruction is emerging as a technique to disassemble military bases, the Department of Defense has no uniform deconstruction policy, despite a new mandate for bases to reduce their solid waste by 40 percent by 2005. All of this is strikingly reminiscent of the recycling movement back in the 1970s. The parallel between the two movements has energized activists and small businesses with the sense of inevitable success. The prize is a big one: If deconstruction were fully integrated into the U.S. demolition industry, which takes down about 200,000 buildings annually, the equivalent of 200,000 jobs would be created and $1 billion worth of building materials would be returned to the economy, with accompanying reductions in virgin material extraction. Progress is being made in the military, residential and small commercial, and public housing sectors. Military base officials are using deconstruction to reduce disposal costs for obsolete facilities. For example, when the Naval Security Group at Sugar Grove, West Virginia dismantled an antenna array, it saved over $650,000 by arranging for reuse of 17,500 linear feet of creosote-coated poles. The West Virginia Department of Transportation bought the poles for use as bridge supports and shoring up riverbanks in a flood protection effort. The Navy avoided transportation costs and the high labor expense of cutting the poles into smaller sizes prior to landfilling in a hazardous waste facility. In the Oakland/San Francisco Bay area, community-based nonprofits and for-profit companies – including the Youth Enterprise Project, Treasure Island Homeless Development Initiative, San Francisco Community Recyclers, Beyond Waste, Inc., East Bay Depot for Creative Reuse and the Materials for the Future Foundation-have received permission to deconstruct obsolete buildings on nearby military bases. These organizations have recovered hundreds of thousands of board feet of Douglas fir and redwood. Much of this high quality wood is unavailable from any other source. Scores of low-income workers have been trained and placed in the construction trades sector in the Bay area, which is booming. The Green Institute, a nonprofit organization that emerged from a successful struggle to keep a garbage transfer station out of south Minneapolis, Minnesota, has a fully integrated deconstruction and resale enterprise (see “Rescuing Materials From Landfills,” February, 1998.? The institute developed its Reuse Center in 1995 as a demonstration of community sustainability. The center was self sufficient within three years, but needed a steady flow of high quality building materials for its expanding customer base. In 1997, the Green Institute started its first deconstruction project. It now has three crews of five workers each, and a backlog of 30 houses and small commercial buildings to take down. Because the institute is a nonprofit, private owners who contract with it for deconstruction services can get tax deductions worth the value of recovered materials donated to the program. As in the military sector, the removal of obsolete public housing units offers a way for public funds to do double duty. Low-income residents are trained for construction trade jobs, earning wages of $15/hour plus $10/hour in benefits as they take down the units. Throughout the United States, there is a shortage of trained construction and demolition workers that restricts further economic development. The removal of public housing units is paid for by HUD’s HOPE VI Program, which distributes almost $900 million/year in grants for this purpose to local housing authorities. In 1999, HUD moved forward in the direction of deconstruction to follow requirements that funds be spent in ways that assist public housing residents in becoming wage earners. However, local housing authorities have been slow to adhere to this, with the Hartford Housing Authority in Connecticut being the lone exception. The Hartford Housing Authority joint ventured with Manafort Brothers, Inc., a private demolition firm, and nine workers recruited from public housing to undertake a deconstruction demonstration project. This included removal of six public housing units and resulted in $9,000 worth of recovered lumber and nine trained workers, who now are fully employed at union wage and benefit levels. The housing authority provided training at a cost of $5,700/worker, which is well under the HUD prescribed rates for such services. At the end of the project, the company was pleased to hire the workers, given Connecticut’s tight labor market. The housing authority is seeking to expand its program beyond the demonstration phase with further deconstruction of public housing units in Hartford. The value of recovered wood is rising, because many species of wood are no longer available from forests. Furthermore, older wood typically is stronger and of higher quality than new growth wood, and it has already shrunk to its permanent size. Another key factor is landfill tipping fees, which are $65/ton in Connecticut. Companies thus pursue mulching, groundcover, firewood, and chip boiler fuel as less expensive alternatives to disposal. A more intermediary market for wood residuals, particularly in California and New Jersey, is medium density fiberboard manufacturers. Using recovered wood as lumber or remilling it into flooring, trim or furniture provides the highest value for recovered wood. For example, the Wood Resource Efficiency Network sells indoor and outdoor tables created from recovered wood for over $500 apiece. Members of the Wood Works Collabora tive in the Oakland/San Francisco Bay area are selling recovered wood at an average price of 50 cents/board foot. 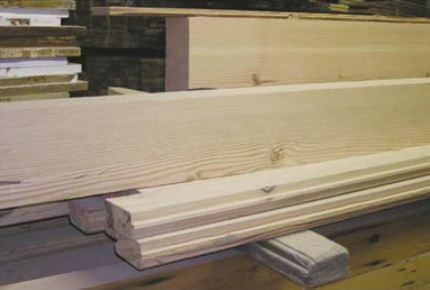 A grant from the federal Health and Human Services Department’s Office of Community Services has allowed them to build a small lumber mill to manufacture products that sell for an average of $2/board foot. The East Bay Depot for Creative Reuse, a member of the Wood Works Collaborative, is already using recovered lumber from deconstruction projects to build fireplace mantles and other high value decorative furniture. Since 1997, this nonprofit enterprise has increased annual sales from $90,000 to over $250,000. Traditional demolition companies have been motivated by economic pressures and common sense approaches to practice deconstruction. The Minnesota-based Carl Bolander & Sons Company was contracted to remove a 320,000-square-foot structure at the Twin Cities Airport. Pre-cast components were removed and used for an office building five miles from the site. “Double T” sections from ramps were dismantled in the same process as they were constructed and then reassembled at another site. In addition to incorporating deconstruction techniques, the demolition industry has rapidly expanded the recycling of building materials such as aggregate and bricks. Routinely, highway construction companies process old roadbed material on site, and demolition companies recycle the rubble from their projects. Unfortunately, a debate has developed between traditional demolition companies and start-up deconstruction businesses. It may be nothing more than a problem of semantics. The demolition industry, as represented by the National Association of Demolition Contractors and the Construction Materials Recycling Association, asserts that it already is maximizing recovery and feel attacked by “deconstructionists.” In fact, both the demolition and deconstruction industries can mutually benefit as they play their roles in the removal of buildings. The demolition industry’s role is in recycling of building materials, while the deconstruction industry’s role is recovery and reuse of building materials. Many demolition firms recover only highvalue, easily removed materials such as oldgrowth timbers and decorative building components because it takes longer to manually remove lesser-value materials then it does to knock down the entire building and haul away the rubble. In the demolition industry, time is money. Although the firms believe it is worth taking extra time to remove high-value materials, they don’t understand that removing lesser-value materials also can be worth their time. Deconstruction companies remove both high-value materials and lesser-value items such as wood flooring, dimensional lumber (wall studs, floor joists, rafters, etc.) and bricks. Studies have shown that lesser-value materials often can be recovered manually while still providing a profit to the company removing them – and not just when government grants are involved. For this reason, the demolition industry can benefit from working with deconstruction companies, who have experienced, efficient crews, and the markets and systems such as partnerships with reuse centers to profit from the recovery of lesser-value materials. Many have created networks to move recovered material quickly. Building contractors and craftspeople often pick up salvaged materials right from the deconstruction site or even purchase them prior to removal. The Green Institute, for example, sells two-thirds of its salvaged material, much of it lesser-value flooring, dimensional lumber and brick, directly from the deconstruction job site or at a warehouse that complements its reuse store. Deconstruction companies and their crews will continue to become more efficient as the market for reusable building materials develops in the coming years. Deconstruction companies often have social goals, including worker training and placement in the construction trades. This is another area where the demolition and deconstruction industries can mutually benefit. The use of public facilities and funds for taking down buildings can train workers at the same time for marginally increased costs, as was the case for Manafort. In the past year, the company has extended the concept of hiring and training workers from among residents of public housing by adding six more such employees. According to the Laborers’ International Union of North America, there may be a shortage of 1,000 to 2,000 construction and demolition workers in Connecticut. Ed Capdano of the Association of Builders and Contractors states that the number is at least 1,000 in Delaware. The Institute for Local Self Reliance has called for an industry forum in September to discuss issues and deflate any needless disagreements between deconstruction activists and companies and the traditional demolition industry. Lupe Vela, director of recycling programs for the Department of Sanitation in Los Angeles, California, has provided a pathway for community, government and industry cooperation. “When we approach a problem, we help inform and train industry through workshops and technical reports. This builds partnerships not animosity and resistance,” says Vela. San Jose, California has proposed an “advanced recycling fee” for construction and demolition waste materials that may be in effect as soon as July. The proposal is part of the city’s overall effort to reach the statewide mandate to divert 50 percent of municipal solid waste from landfills. The Environmental Services Department would collect a deposit upon issuing permits for building “take downs.” Deposits will be returned when the contractors demonstrate that materials are recycled or reused by a number of local businesses. Orange County, North Carolina has drafted an ordinance calling for mandatory separation of wood, metal and drywall discards from construction sites. The new regulations would be enforced by job site inspectors and penalties for mixing construction and demolition waste at the county landfill. The county is also considering implementing a ban on landfilling wood pallets. It remains unclear as to whether any deconstruction projects will get funded through HUD’s Hope VI public housing program in 2000. No deconstruction projects were awarded funds in 1999. HUD has contracted with the National Association of Home Builders Research Center to conduct an evaluation of deconstruction. The report will focus on case studies of projects in Milwaukee, Miami, Nashville and El Paso. Unfortunately, the report is almost one year behind HUD’s original schedule. “Our biggest fear concerning this evaluation,” says Charles Tisdale, director of Action for Bridgeport Community Development Corporation and former HUD official during the Carter Administration, “is that there will be a per square foot comparison between deconstruction and demolition. This is not appropriate. The impact on people and their families has to be considered.” HUD’s mission, Tisdale continues, “is to improve communities and the lives of individuals, not demolishing buildings. If there is a way to take down buildings and improve the lives of residents through jobs and small businesses, that is the way they should go.” Deconstruction provides just that way by yielding both valuable building materials and trained, motivated workers. In the late 1960s, as the grass roots recycling movement was started, Rick Anthony, an early pioneer, pointed out that “recycling is a force of nature and it must be obeyed if we are to survive on the planet.” This admonition is no less true today for the construction and demolition industry. Deconstruction is a branch of the same recycling tree that changed U.S. solid waste management from its focus on burn and bury to recycling and economic development.